The world is fast running out of combustion fuels. 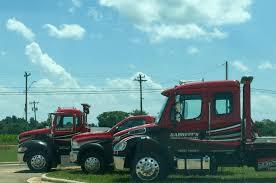 This shortage is already being felt with the high prices of fuels around the world. Price of fuel has more than doubled during the past 5 years and it is getting to a point where it is getting not so affordable for a lot of people. One of the best solutions with cars and vehicles is to go fully electric. Barring Tesla, modern vehicle manufacturers have found it very hard to keep costs low with fully electric cars till now. For an all-electric car list, you can highlight all models of Tesla and be done with it. But Tesla right now does only all-electric vehicles and in markets where charging stations have not been implemented, hybrids may be the best possible solution indeed. The concept with these hybrids is pretty great, you use only a portion of fuel your vehicle would use otherwise. Some hybrid systems are also efficient enough to work on their steadily charging batteries up to a certain speed. Gasoline engine only kicks in when you travel faster than the specified speed limit. The Chrysler Pacifica is available in its traditional internal combustion engine as well for $13,000 less than its Hybrid version. 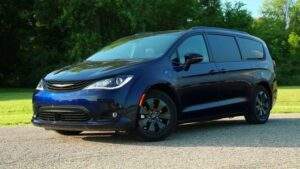 Starting off from $40,000, the entry level Chrysler Pacifica Hybrid will get $7,500 in Federal Tax Credit as well and will save up a whole lot in fuel efficiency in the long run. This hybrid will seat up to 7 people and is perfectly capable of running 33 miles on only its electric engine. It works on the Atkinson Cycle and is one of the most highly rated hybrids of 2019. The 3.6L V6 engine in Chrysler Pacifica Hybrid is a perfect choice for people who usually drive within the city. Having it charged up fully once, you can get most of your daily chores done without spending a single dime on fuel at all. Everyone stays pretty happy with this one, owners, manufacturers and also the environment. What more could you ask right! 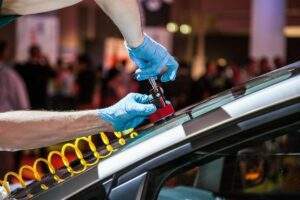 BMWs in the past have been known for many things, hybrid vehicles with no emissions and sounds have traditionally been not one of them. Their popular 7 series has probably the widest range of options including none other than straight-sixes or the V12s as well. In contrast to all of that, the hybrid 7 series BMW gets its power from a 2.0L twin-turbo 4-cylinder engine and also a 111-hp electric motor that is functioned by a 9.2 KWh battery pack. 255 horsepower is attained only from the four-banger and the rest of the setup gets it up to no less than 322 horsepower combined. All in all, you’ll be getting a 27 mpg from a BMW 7 series that is the 740e. Talk about mind blowing numbers right. 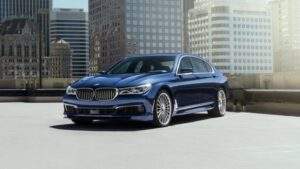 2019 model of the 7 series’ are also coming out with a design refresh. You get this amazing fuel economy along with all the other goodies BMW 7 series has to offer. 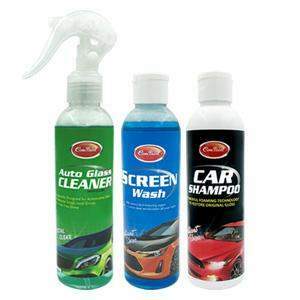 You’ll also get a lot less slack from your eco-friendly friend for owning a BMW 7 series with the 740e. When you talk about hybrid cars and not all-electrics, the Acura NSX provides a great option with its supercar looks and performance output. It is definitely one of the sportiest hybrids on the market today. 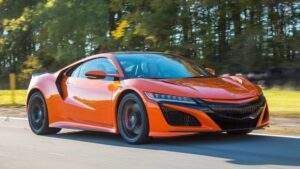 The second generation of Acura NSX has no less than three electric motors and also a 3.5L twin-turbo V6 engine as well. Talk about big numbers right. Offering a whopping 573 horsepower with 476 lb-ft of torque, this car is one of the most power providing ones in the hybrid lineups for 2019 as well. Having a 9-speed dual-clutch automatic transmission, it will be good for a 0-60 mph in only 3.1 seconds. The all new models of Acura NSX only made their debut last year and you shouldn’t expect any major changes in it. If it’s not broke, why fix it in the first place. It already offers some of the best acceleration and handling experiences in the industry bringing a whole lot of fun to the driver at all times. However, it is also one of the most expensive hybrids on our list (in fact the most expensive) coming in at no less than $160,000 for the base model. If you are willing to get the high spec one, be ready to shed out past the $200,000 mark. 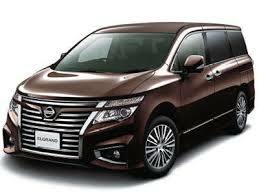 However, don’t confuse it with any bit of luxury car neither is it a sports luxury car as well. However, a more luxurious interior for the 2019 model will be a welcomed one indeed. Volvo XC60 saw its complete redesign in 2018 with North American market in mind. In fact, it received the North American Utility Vehicle of the Year award for 2018 as soon as it arrived. The T8 eAWD is a plug-in Hybrid that goes well past the range records previously set by similar vehicles and cut down price in the process as well. These factors above anything else make it one of the most anticipated hybrid cars of 2019. 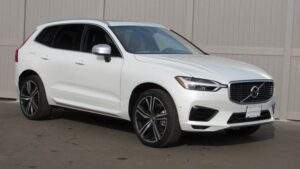 The 2019 XC60 has a 2.0L turbocharged and supercharged 4-cylunder engine along with a 87 horsepower electric motor. This superlative hybrid crossover will have a combined engine that will produce a fairly decent 400 hp with 472 lb-ft of torque as well and yet returning no less than 26 mpg at the same time. The XC60 starts off at a modest $53,000 but you’ll have to pay substantially more money to add on certain luxury options with this nicely sizes vehicle. When going for the XC60, you should be ready to that bit extra and have Volvo’s active bending lights, blind spot monitors, steering assist, pilot assist semi-autonomous drive system, cross-traffic alerts and a few others.